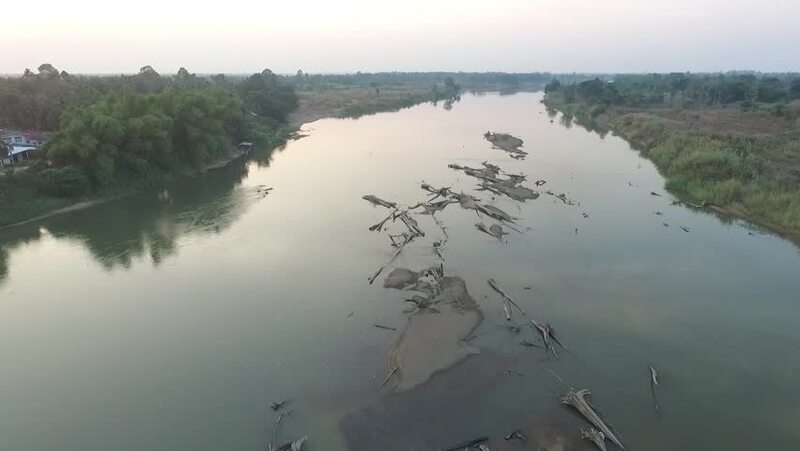 Aerial Shot from Drones about Drought and Global Warming, Low Level Water in PING River of THAILAND. 4k00:22A yacht sails in vast open water close to a cliff countryside green coastline. Solitary in murky water and grey weather. South Devon, UK. 4k00:43Time lapse Of Tropical Beach on sunset moment. Hard wave and rocky beach during sunset moment with hard light from sunrise and moving clouds at background.